ONLINE and mobile payments usage has grown by more than 100 per cent in 2017 compared to the previous year. Over the same period, the usage of both debit and credit cards has also increased, jumping over 30 per cent with BND2 billion being spent. Speaking as the chief guest at the launch of the Digital Payment Roadmap for Brunei Darussalam 2019-2025 at the Design & Technology Building, Anggerek Desa yesterday, Autoriti Monetari Brunei Darussalam (AMBD) Managing Director Yusof bin Haji Abdul Rahman added that AMBD recognises the great potential for further development in this area, and has taken the opportunity to develop the roadmap to facilitate, enable and drive Brunei’s payments economy as part of a drive to turn the country into a Digital Payment Nation by 2025. The Digital Payment Roadmap marks a significant milestone under the Financial Sector Blueprint 2016-2025 (FSBP) towards achieving Vision 2035’s aspiration of realising a dynamic and diversified economy for Brunei Darussalam. While the migration to digital payments requires considerable investment and effort in terms of putting in place an enabling market infrastructure, the use of digital payments provides consumers with greater convenience and security, while also resulting in long-term cost savings to providers. Businesses benefit from an increase in operational efficiency and improved productivity, both of which allow for the redeployment of resources previously used for handling cash and cheques. The adoption of digital payments will only accelerate once the necessary payment market infrastructure is in place. 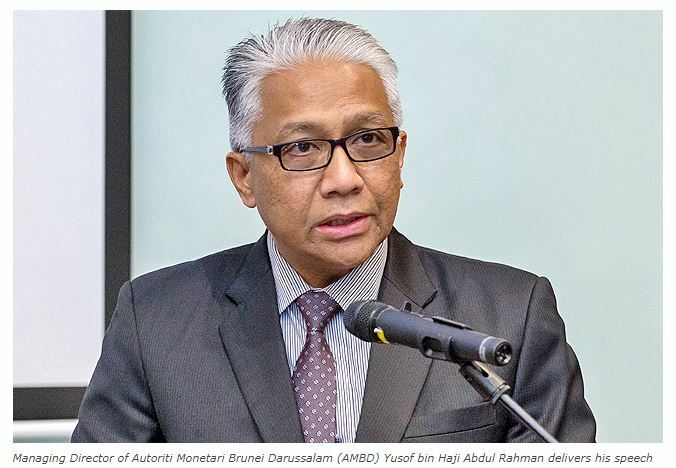 Yusof additionally noted that a ‘Payment Hub’ would provide an integrated solution to connect multiple payment systems and channels, using common standards, and avoid fragmentation of our small payments market. In the long run, he says, the same payment infrastructure will serve as the conduit for cross-border integration with other ASEAN markets, meaning that anyone within ASEAN can make secure payments throughout the region quickly, conveniently and at low cost. Head of Payment and Settlement Systems at AMBD Lim Shaw Fhen said that the introduction of the Real Time Gross Settlement System, the Automated Clearing House, and the Central Securities Depository completed the National Payments and Settlement Project in 2017. “[The project’s] completion is a prime example of how regulators and industry players can work together to achieve a common goal,” Lim said. A video on the Digital Payment Roadmap was also shared during the launch, highlighting the key strategies towards effectuating a digital payment nation, the roles of stakeholders, and the benefits of digital payments for consumers. Others in attendance at the launch included officers from government agencies, as well as representatives of financial institutions, telecommunications companies, Fintech companies and other stakeholder industries, who had the opportunity to learn more about the Roadmap through a networking session facilitated by AMBD officers.